In the last couple of months, I read It Doesn’t Have to Be Crazy at Work and Joy, Inc.: How We Built a Workplace People Love. They both cover how two successful tech companies operate their activities in a very proud way. Reading these books can be inspirational for your company but at the same time, it does require a grain of salt. “No is easier to do, yes is easier to say. No is no to one thing. Yes is no to a thousand things. No is a precision instrument, a surgeon’s scalpel, a laser beam focused on one point. Yes is a blunt object, a club, a fisherman’s net that catches everything indiscriminately. 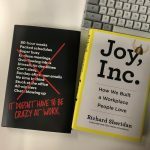 In Joy, Inc.: How We Built a Workplace People Love, Richard Sheridan brings lots of elements and process from Agile to readers. It sounds like an Agile 101 but with real-world examples, what can give people the courage of trying new processes. At the same time, I saw some parts with a huge scepticism like when he mentioned that employee referrals are a terrible HR tactic or people wearing headphones are not a good fit to his noisy restaurant company. At the end of the day, people can see both books are marketing pieces exposing two tech companies. They sound different in several points but they both agree that too many meetings are bad, too many benefits are traps and work/life balance is important to individuals and for many, this is the message that needs to be remembered. Being a Team Lead requires more than tech skills: you interact daily with people and it is quite challenging building stronger relationships and improving employees onboarding. The following document is my People Lead Readme (sometimes known as Manager Readme), where I talk about me and I share my expectations on people and on the product. This document is an extended introduction to what I value and believe in as a team leader and software developer. It is also a quick introduction about myself and how I work. This document doesn’t replace getting to know each other through 1:1s and day-to-day chats. As I said before, it is an introduction. This document applies only to me, and in no way should be considered to apply to any other team lead or manager at Thinkific – even though we think in similar ways sometimes. If you feel like I am not acting like I describe here, please let me know. If you are curious why this document exists in the first place: there is a newsletter called SoftwareLeadWeekly (recommended) and managers share their own readme’s there. After seeing several documents, I decided to write my own. A few days weeks I got a MacBook Air as secondary machine. Since its SSD is smaller than my main Mac I couldn’t use Time Machine. It was definitely a good time to finally create my dotfiles repository. My repository is based in webpro/dotfiles (you may want to check it out his repo to understand this one if you feel lost). For a few weeks I have been using two tools to map my work activity. Since my work involves manager and maker modes, I am trying to figure out how much time I spent in each of them and possibly how to remove distractions. A co-worker recommended RescueTime and WakaTime and here are my comments. RescueTime home page says “With so many distractions and possibilities in your digital life, it’s easy to get scattered” – yes, I know – and “RescueTime helps you understand your daily habits so you can focus and be more productive”. Yes, they really helped me understand my daily habits. This week #deletefacebook was a trending topic everywhere after all the Cambridge Analytica scandal. Lots of people deleted their accounts, including Elon Musk and the WhatsApp co-founder Brian Acton. I didn’t delete my account but one thing that I did in the middle of February was deleting the app from my iPhone – which is a good step anyway. I am not deleting my account because I still need Facebook to reach a few people from my previous companies/schools. I used Facebook groups a lot in the past when I was dealing with immigration and unfortunately, it is difficult to find a replacement for this functionality. Forums and lists are not a thing since Facebook absorbed everything on its island. If I can’t delete my Facebook account, I may have some way to undo my friendship with them. A few months ago we started using React at Thinkific. One of the challenges of using React is creating reusable components not only from a look and feel perspective but also shareable in different projects. How to style components? Sass? Stylus? styled-components? How to show the elements? How to build the library? Babel? Webpack? How to publish the library? To NPM or not NPM? How to use integrations and CI in your favour? Lots of decisions and you may not know all the answers. Startup Life™ doesn’t let you do whatever you want – everything has a cost and a trade-off. Why am I talking all this story? Because I wanted to share my thoughts about it and I created a repository to document what we are doing. I am huge fan of podcasts. It is always nice to hear people’s thoughts, struggles, jokes and sick picks. Here is my short list of development-related podcasts. Developer Tea: plenty of episodes about the developer career. Off the top of my head I would recommend the episode about Experienced Developers and Impostor Syndrome. Front End Happy Hour: each episode the hosts toast when someone says a specific word. If you are into style guides, you must head their episode about it. Software Engineering Radio: I didn’t hear a lot of episodes here but it caught my eyes ears the one with David Heinemeier Hansson, creator of Ruby on Rails. Vancouver Tech Podcast: last but not least, I’ve been living in Vancouver for more than 2 years and it’s nice to hear the local tech scene. I have been using Atom for a while. Despite I started testing VS Code in the latest months, I returned to Atom because VS Code doesn’t separate UI theme from syntax theme – you may not care about this, but I am a fan of a light UI and a dark code highlight. Many of us use Github daily however we usually don’t use all its features. On the latest months, its team released a few webinars about how Github uses Github. 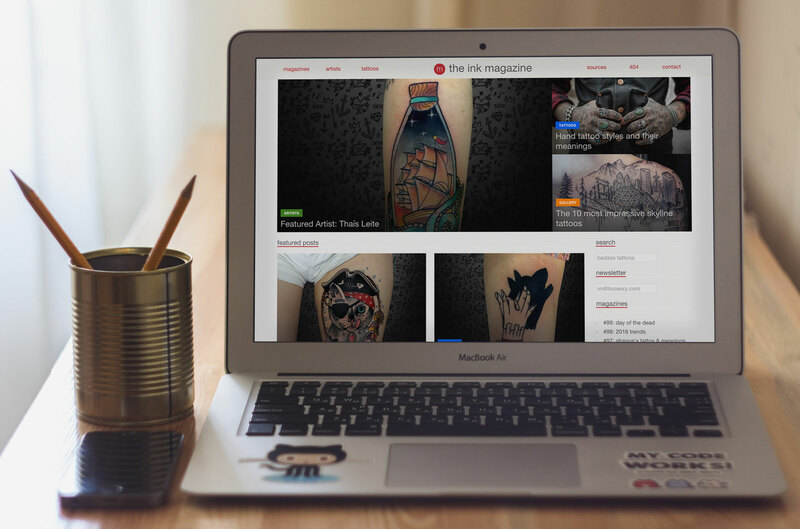 More than showing the web interface, they talked about their culture and their workflows. In this post, I’m adding the links to the webinars with a few notes. Few months ago I saw in The Verge a post about CloudReady. CloudReady is a remake of Chromium OS ready to go in old PCs or Macs. The company behind the product sells its solutions/support to organizations interested in keeping using their hardware. It’s really interesting. 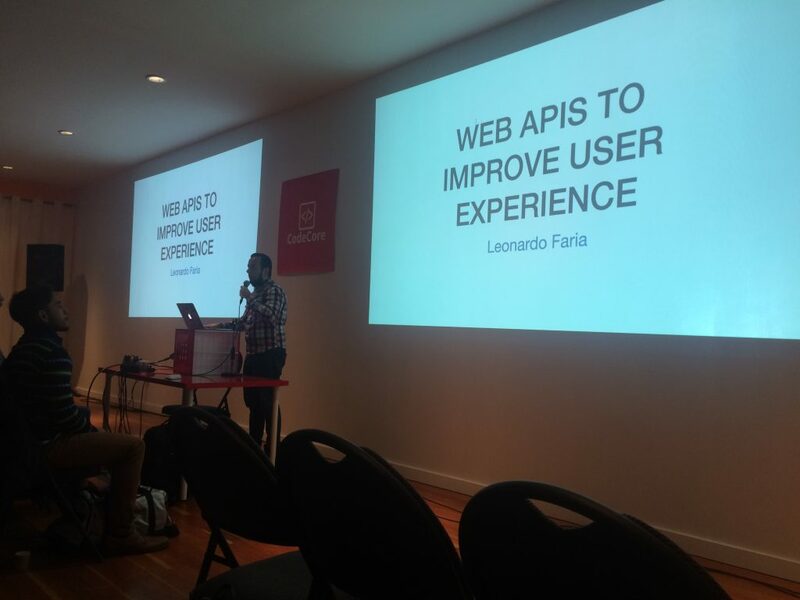 In yesterday Code & Coffee Meetup I talked about how Web APIs can improve User Experience. I watched Zeno Rocha talking about it few months ago then I decided to study/share the subject. Here are my slides and the example repository that I created for the event. We usually create HTML files in our Github repositories, but how to show this data in the browser? RawGit is a solution to serve files with the correct content types. The advantage of using RawGit over Github Pages is that RawGit works with all branches, while Github Pages requires a gh-pages branch. Last not the least, the source code of this solution is also available in Github. I am attending to a post-degree program and one of its courses is Server-Side Scripting. The professor gave us a project which students should create a project and my colleague and I created a Sinatra REST API for a todo list application. Last week I presented in Code & Coffee about WordPress and Gulp. In my 10 minutes talk, I explained briefly what is Gulp and how its tasks can save our time. binary_file_patterns: This option excludes files from the index but keep them in the sidebar. folder_exclude_patterns: This option excludes files from the index and sidebar. 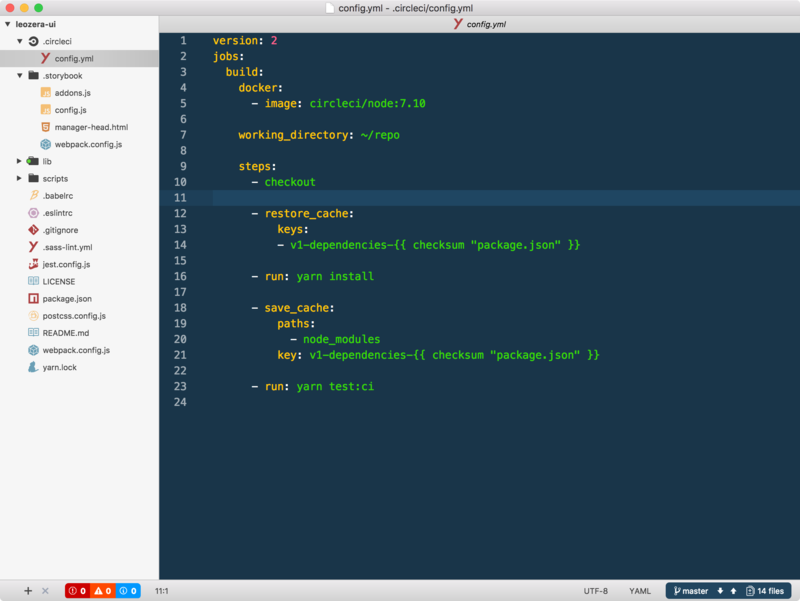 This is why, for example, you don’t see the .git folder in a project. echo "git push origin +master:master"
Um dos meus programas de rádio favoritos é o Central 98, da 98FM (de Belo Horizonte). Ele começa às 10h da manhã e devido a diferença de 6h de fuso horário eu não consigo ouví-lo ao vivo. Então, criei um shell script para gravar o programa e assim posso ouvi-lo no meu tempo livre. Esse artigo está disponível em português. One of my favourite radio shows happens every day at 10 AM (Brasilia Timezone). I was unable to listen to it because the time zones. Then, I created the following small shell script to record the show and then I can listen to it in my free time. the ink magazine was an assignment of my HTML & CSS classes in the Web and Mobile App Design and Development program, performed in Langara College. The students was supposed to create a magazine responsive layout using HTML/CSS. (I usually use Gulp and SASS in my projects, however, I didn’t use extra tools in this task). The source code is available in my Github profile.